Then you need a Palmetto Buffalo lawn. The Palmetto buffalo has a world wide reputation as being the most shade tolerant and drought tolerant buffalo lawn available. A Palmetto buffalo lawn is perfect for little feet, be they people feet or paws, to run around bare foot on all day every day. And it won’t take up a lot of your time to ensure that it stays green and fluffy. Requiring only 2-3 hours of direct sunlight per day as a minimum, a Palmetto Buffalo lawn is perfect for shadier cooler lawns. 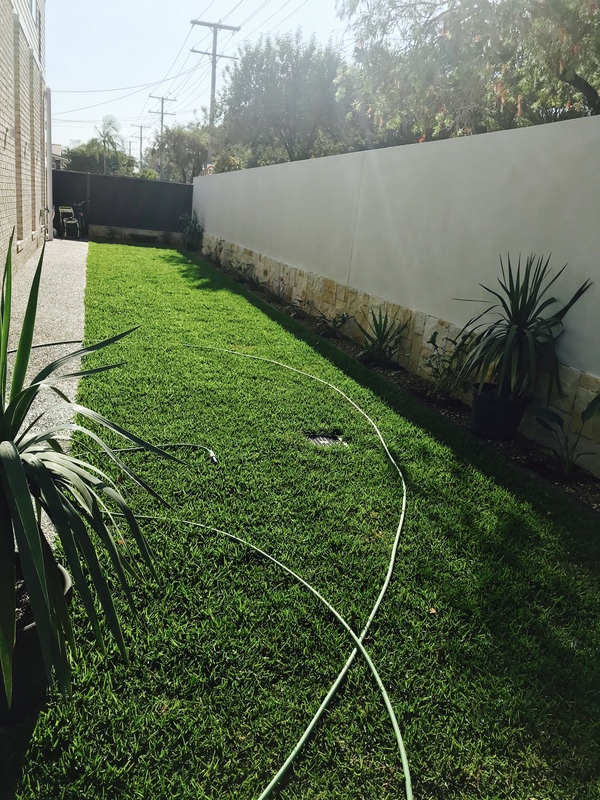 Lawns are often shaded by large trees, either in your one yard, or neighbours, which cool your home during the heat of summer. Or neighbours homes loom over your yard creating shade. This can often lead to problems in creating a Green lush lawn. But with a Palmetto Buffalo you, even shady areas can be a wonderful green playground. And with little rain on the horizon, the Palmetto Buffalo lawn won’t cost you the earth in water bills. 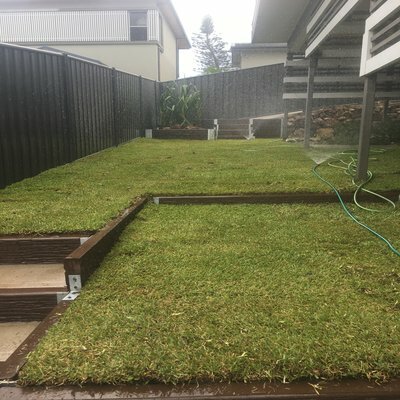 Being the most drought tolerant buffalo available in Australia, a Palmetto Buffalo lawn will stay green for longer with as little fuss from you as possible. Don’t like to mow in the heat of a summer day? No problems with a Palmetto buffalo lawn. A Palmetto buffalo lawn requires a third of the mowing of any other buffalo lawn. So your Palmetto Buffalo lawn is really your friend in the green. It wil l stay green, fluffy and healthy with as little fuss and care from you as possible. And if you get the Turfman to install you won’t have to get your hands dirty at all.